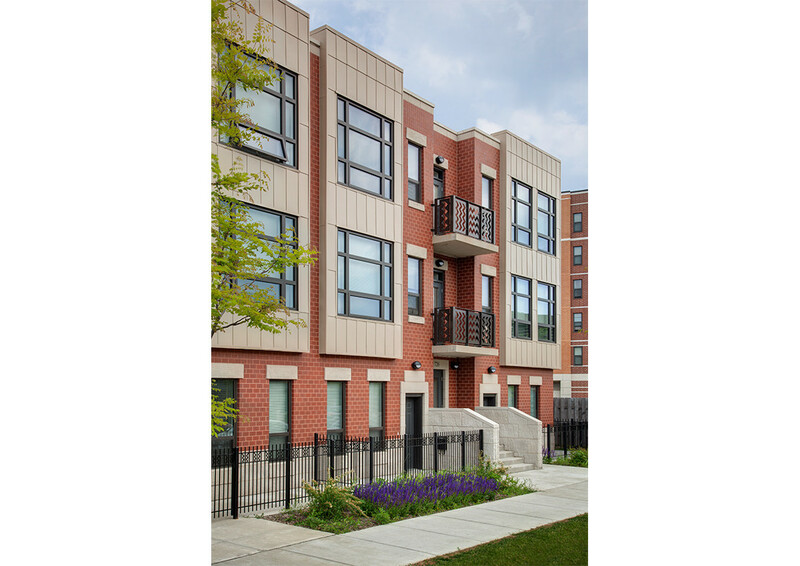 As part of the Chicago Housing Authority’s Plan for Transformation to reinvent public housing in Chicago, the Oakwood Shores development replaced the Ida B. 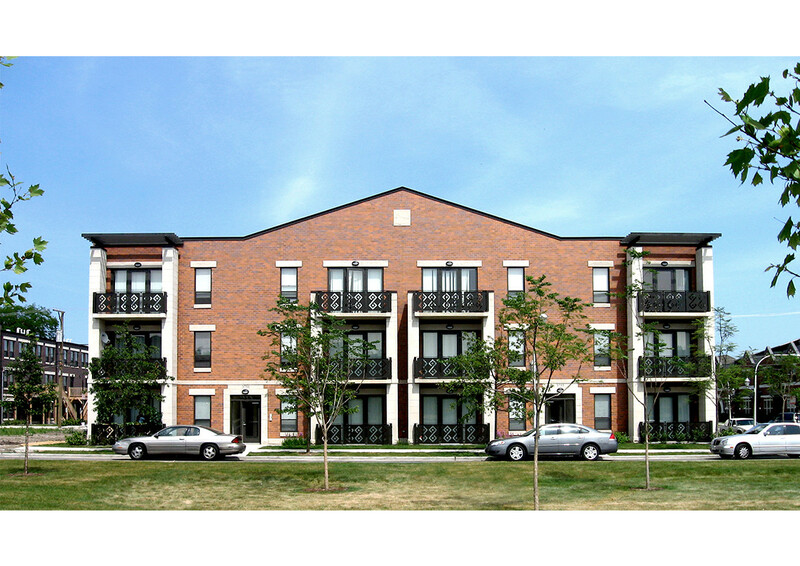 Wells Homes as an expansive, fully-integrated mixed-income community. 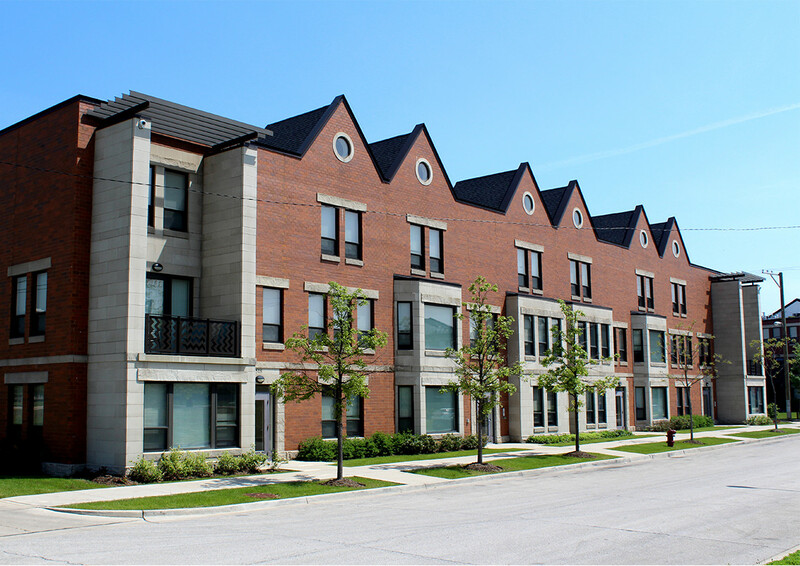 Made of brick, cast stone, and laser-cut metal panels, the homes are sturdy and economical, reshaping the neighborhood at its historic scale. 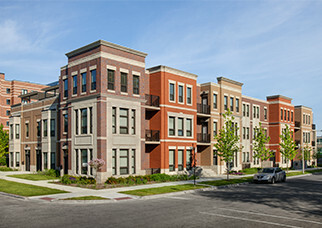 Significant community interface throughout the design process impacted the overall design goals as well as details like materials and color selections. Inside the units, large windows align with doors and hallways to allow abundant daylighting throughout. 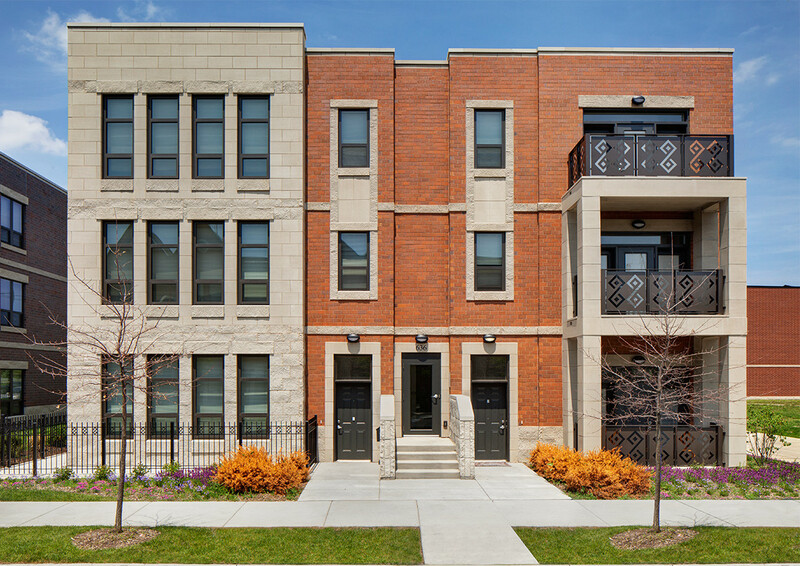 The first floor of each unit is handicap accessible, and the top floors of each building have cathedral ceilings and pitched roofs to increase their street presence and marketability. 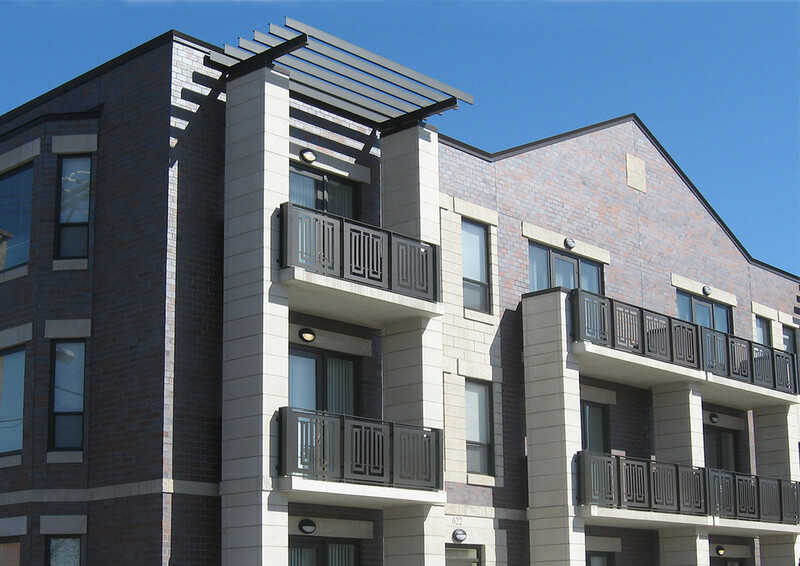 Porches and balconies are wrapped in black metal cut with batik-inspired designs, lending the classic masonry facades a bold graphic overlay. 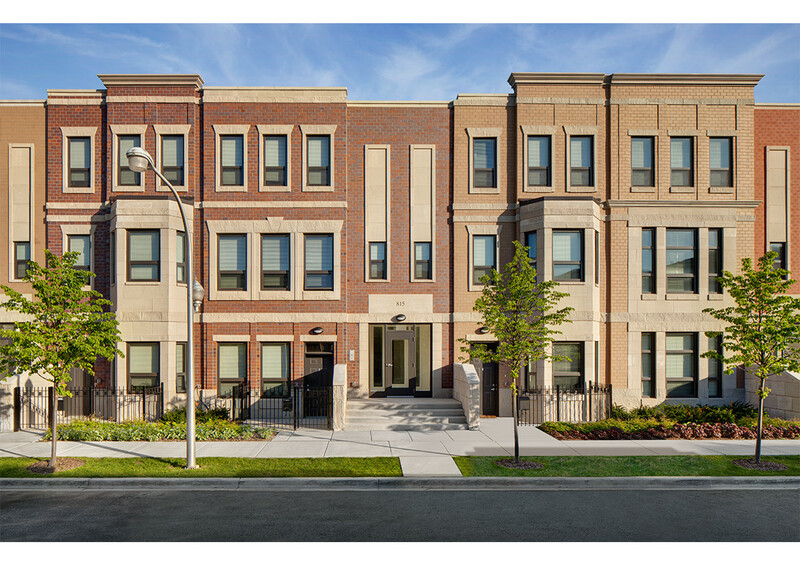 Oakwood Shores’ success lies in its unified diversity, where each set of homes has its own characteristic details while maintaining an overall neighborhood identity. 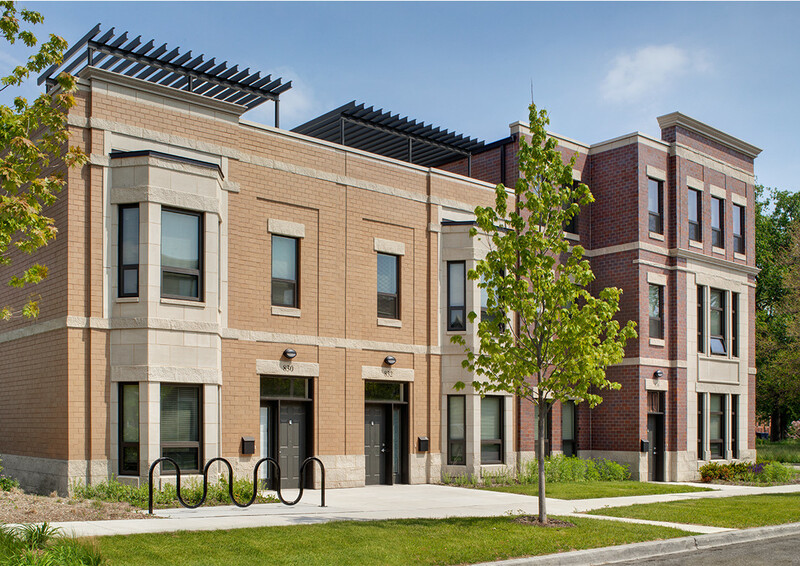 Rebuilding a neighborhood using architecture requires a specific set of skills that Booth Hansen has honed over many years: a long-term, large-scale vision as well as a fine attention to detail and ability to communicate with many kinds of stakeholders. Client: The Community Builders, Inc.